Attention: Panthers Football Season is here! Has someone been looking for you? Check our NEW FRIEND FINDER to find out! Visit the site to see if any classmates have been looking for you or have left you a message. In addition, leave a message for a classmate you're looking for! 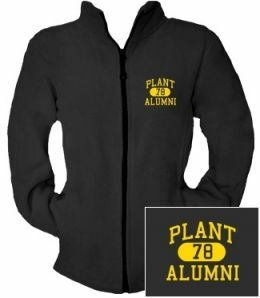 Alumni Notice: Remember to upgrade to Lifetime Membership if you haven't already. It's still a one time fee but the alumni site will be changing to an annual fee very soon so upgrade today. Do you remember those cool fall nights under the lights at the football field? No matter what crowd you hung out with, we all remember attending the games! Take a trip back in time this season and go out to cheer on the team. Invite some of your old classmates to join you in the bleachers and bundle up in some fan gear to show your true school spirit! Special thanks to all our Lifetime Members that support our alumni site. We can't keep the site going without your help. You can become a Lifetime Member if you haven't already. It's easy and your support is greatly appreciated! Upload Your Reunion Photos and School Pictures? Your class need your help! Do you have any reunion photos, class pictures or old sports photos? Please upload all your great photos to share with your classmates! 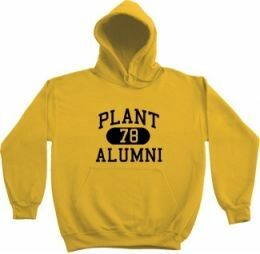 plant.alumniclass.com has no association with this school or school district.